What is the so-called Revised Text that Geoalcali has submitted to the administration? As part of the permitting process, the Revised Text is the official format that the Ministry of Agriculture, Food and Environment (MAPAMA) has requested from Geoalcali it includes in the draft the responses and suggestions from all the competent administrations and entities and form part of the environmental permit process that concludes with the Environmental Impact Statement. It is in no way a new project. What type of information is included in the Muga Mine documentation? The documentation for Muga Mine is made up of various studies which value its impact and include preventative and compensational measures to develop a sustainable project. The documentation includes a matrix if environmental impacts which analyses each impact individually in order to know their lisitng and establish the correct measures for each case. This matrix although it does not evaluate the environmental viability of a project, it is useful for monitoring the activities and for producing improvement objectives. Puntual study on the presence of the Mustela lutreola, Myotis Myotis and Nyctakus Noctula in the potencially affected area of the potash mine on Undués de Lerda (Aragón). Valuation of the importance of the protected ponds of the amphibian population. Revised report of the fieldwork in the creation of a registry of the birds in the area of Muga Mine (Undués de Lerda, Sos del Rey Católico (Aragón) and Sangüesa (Navarra). Conservation plan and monitoring the amphibians in the area of Muga Mine (Navarra/Aragón). Analysis of seismicity induced in mines, with an emphasis on those similar those of Muga Mine. Study of the impossible interaction between the Yesa reservoir and the Muga Mine project. Earthquake of the Canal de Berdún 1923. Final report of the analysis of the earthquakes source for Geoalcali S.L.U. What type of mining are we talking about? Given the type of deposit, the potash extraction will be carried out using interior mining, which is to say, underground, the use of mechanical techniques (e.g. miners and conveyor belts). This type of conventional underground mining will be carried our using chambers and pillars. That implies the opening of spaces (the chambers) following the extraction layers and leaving a regular solid form of protection without removal (the pillars). Will the mine use explosives during its day to day operations? No. As the company has commented, the underground operations will be carried out using mechanised extraction machines (miners, roadheaders). Blasting and explosives are not necessary in the daily work of the mine. Will the potash mine see the use of fracking? No. Fracking is a technique which will only be used when operations involve gas extraction. Will the mine generate seismic activity? No. This is proved by the completed seismic studies which have been validated by the IGN (National Geographic Institution) as a competent body. In this way, a completed seismic study of the area which has been carried out and can prove that, given the characteristics of the mine, it is not possible to produce such movements. Could there be sinking on the surface (subsidence)? The Muga Mine is being designed according to the highest engineering standards. The extraction system, using chambers and pillars, and the design and filling of the rooms with excess material (backfilling) will make the risk of subsidence on the surface practically non-existent. Also, the works will be submitted to management and continuously monitored in order to detect any possible subsidence, with the monitoring of the mining authority. What will be done with the waste created during the extraction of potash? The extraction will generate non-toxic waste, such as sodium chloride (common salt) and other inert substances, such as clays. Most of this waste will be put back into the empty mine’s spaces, increasing the stability of the ground (backfilling). The rest of the residue derived from the mining process will be stored appropriately and sent to an authorised manager or will be commercialised. Is there a risk of soil or groundwater salinisation? With the current design, preventative measures and management established in the project, there is no risk of salinization of the ground or underground. The current environmental legislation in place, derived from the European directives, and whose compliance is monitored by autonomous organisations, requires the installation of waterproofing systems in the deposits or salt-storage, as well as sites for environmental control. These legal requirements together with the existing technology and the continuous monitoring of the administration, will almost completely minimise this risk. How will the project affect specially protected areas? The facilities (accesses, processing plant, offices and mine openings) of the mine are located in areas which are not part of the network of natural areas nor the critical areas of the plans to protect endangered species. Muga Mine has been subjected to thorough and detailed environmental impact study reporting on the geology, geomorphology, climate, hydrology, hydrogeology, vegetation, wildlife, habitat, landscape, among others. In the draft it explicitly mentions that any new operation will have to meet the highest levels of world mining with respect to health, safety and consideration of the surrounding environment. On the other had the ground affected by the mining plant and mine opening will be set outside of the protected natural area and they are occupied, completely, by the lands dedicated to rain fed agriculture. Finally, all the sterile and rejected materials from the mine are products which are classified as non-hazardous. What effects could transportation of potash have on the surrounding areas? All the material will be transported on roads far from town centres, constructing new roads. The roads that connect the mine opening with the power plant and with the network of roads passing a sufficient distance from the closest town centres as a way to avoid affecting the neighbours of those towns. In any case, the company is working together with the administration to minimise any impact in the area that could arise from the transporting of materials. What will be the visual impact of the mine? All facilities have been strategically placed to avoid being seen from the nearest towns. Also, making use of revegetation visual barriers and plant barriers. A lot of the mineral processing plant, like the mine openings, have been strategically placed around the area to minimise their impact, at a distance from any town centre and separated by mountains from the closest local towns (Undués de Lerda and Javier) preventing them from being visible from both. How will the area be left after the mining exploitation? The Company is committed to completing a full restoration of the area and is obliged to do so under Spanish legislation. As part of this Geoalcali has designed a meticulous restoration plan, which includes a detailed budget. This plan will be put in place from the first day of mining operations. Finally, the Muga project, effectively has a pre-determined lifespan but not the legacy of the mine. Muga creates an opportunity for the creation of business and wealth in the region that will last until long after the end of the project. Who authorises the permits for the mining exploitation? Given that the project concerns more than one community, the process depends on the State´s General Administration. In detail, the Ministry of Ecologic Transition, previously know as MAPAMA is in charge of the production of the DIA. 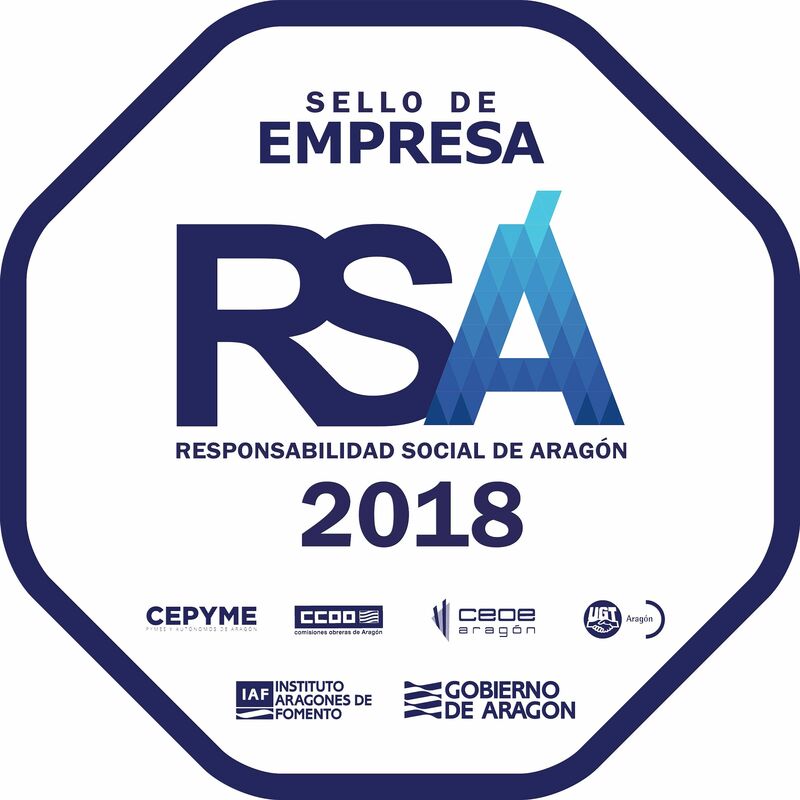 Previously, the Ministry of Energy, Tourism and Digital Agenda, together alongside the Mining organisations of Navarra and Aragón depending on the Governments of both autonomous communities, were in charge of authorising the different mining permits. Has public participation been taken into account when planning the project? Legally, there is a period of public information for the project in which local councils, involved administrations and stakeholders are consulted regarding the project. At the same time, any individual can present allegations and consultations, having at their disposal the complete documentation as a non-technical summary and culturally accessible of the same. But more than the legal requirements, for Geoalcali, the collaboration with the community is very important since the project is going to be a part of the region for a long period of time. That collaboration starts with giving detailed information to the public about the project. In this sense, numerous meetings have been held, firstly with the local administrations, as public representatives of the citizens. But also with the habitants themselves, in public events celebrated in the localities of the involved areas, as personalised in the company´s offices. Also, the company has offered information directly to those neighbours that have shown interest in understanding the aspects of the project. Now, Geoalcali maintains a collaboration with the entities in both autonomous administrations, interested in the implementation of methods which favour the information to the public. Will the mine potentially have an impact on Yesa? No, as the various studies carried out (geological, hydrogeological, vibration, etc.) show. Neither the activities produced in the mine will ever reach the swamp, nor will a possible leakage of water from the swamp ever reach the mines. The geological formation on which the reservoir rests is made up of impermeable rocks that prevent the circulation of water. In addition, the geological formations of Yesa and Mina Muga are distinct and are naturally separated by a geological barrier. This makes any interaction between the two structures impossible. What will happen when the mine closes? What will the social benefits of this project be? A project like Muga will live on for various decades, bringing economic stability and employment. Muga offers the administrations and residents of the region the opportunity to create a long term sustainable benefit. In this way, the company has a commitment to prioritising the local community, as well as providing training for employment. In Muga alone, is estimated to create employment, on a grand scale and progressive, which will exceed 800 roles in the form of operators, administration, technical and personal logistics. Consequently, the project will continue to create job opportunities indirectly, multiplying the estimated employment figure. In general, an industrial project of this magnitude brings many social benefits, from the wealth it generates and for the social and economic development for the region, not only with the creation of jobs but also in terms of taxes. Without forgetting the creation of business and economic activity in the area, which will grow and will find new opportunities for additional business. Why has the employment figure gone up? The project has been adapting to the production needs knowing the possibilities of the deposit. So for operational reasons, the company decided to have 3 to 5 work shifts in its facilities, which means a considerable increase in the need for contracting.